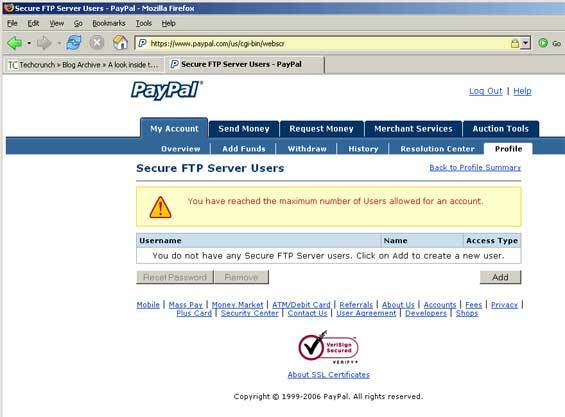 PayPal is preparing a new feature on a select range of users that allows them to securely store files with the payments provider. The new service, called DropBox, creates a secure storage area that is associated with the account. What we are not sure about is if this is a service just for merchants, or if it is a service that will be open to every user – from what we have seen so far it seems this is more of a service for merchants. In terms of technology, it is very simple. If you enable secure storage for your account you are then able to create access accounts. 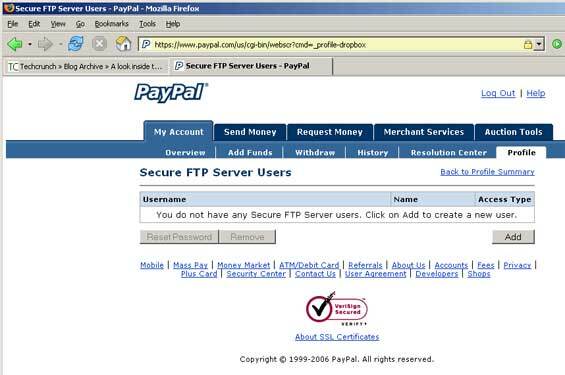 Using these accounts, you can then SFTP (Secure FTP) files to the PayPal server. Windows does not have a default SFTP client, though there are freeware and payware apps that can be downloaded. SFTP can be found on most UNIX-based operating systems (command-line sftp). So it seems all that PayPal will be offering is a place to put these files. Also, SFTP means that the transfer is secure, so either encyption happens on the server or it is up to the user to encrypt their files. This seems like an odd distraction for PayPal, but the service can be akin to a safety deposit box on the web (ie. store once, access infrequently). 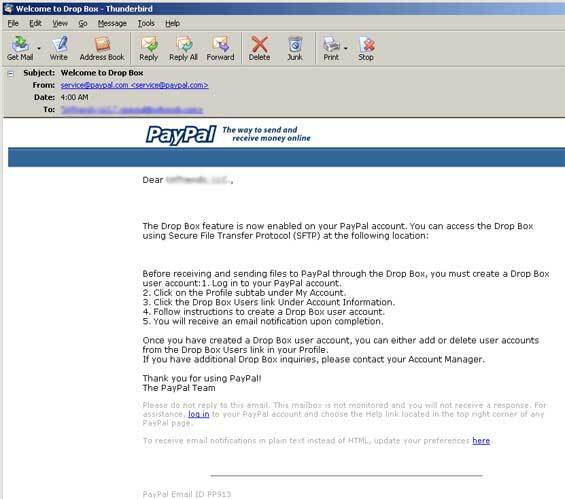 We hope to see more reasoning why PayPal are releasing DropBox once it is released – until then we can only speculate what it will be used for. Screen shots are below. Thanks to Joel Strellner at urltrends for sending this to us.